As we move closer towards awards season, studios are busy finalizing which of their films to push in which categories in order to give them the best shot at winning. Given that the Best Picture snub for The Dark Knight in 2008 is widely considered a large reason why the Academy subsequently expanded the category to a larger number of nominees, we knew Warner Bros. would be launching a campaign for The Dark Knight Rises. 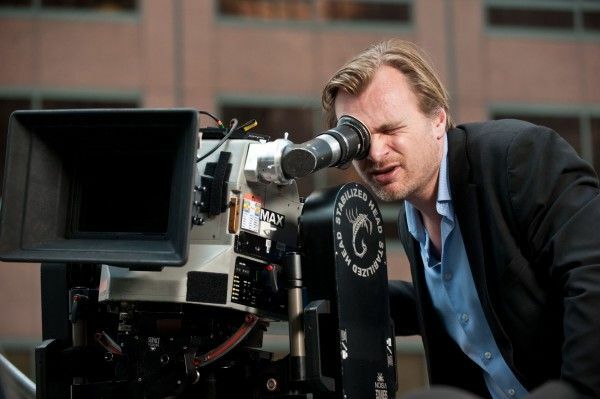 Alas, the “For Your Consideration” campaign for Christopher Nolan’s Batman trilogy closer is off and running, and we’ve got a look at which categories WB is pulling for. Hit the jump for more. It’s pretty standard for major studios to put their big films under consideration for a large number of categories, and that’s exactly what Warner Bros. has done with The Dark Knight Rises. Honestly, the film is really only a player in the technical categories for Oscar, as a Best Picture or Best Director nomination seems like a longshot. 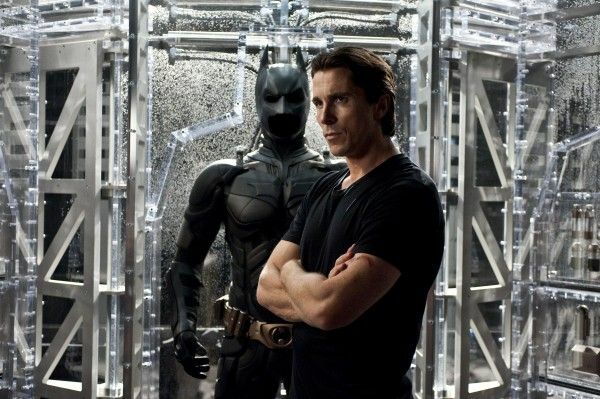 2012 has been a banner year for film and there’s a lot of competition, so it makes it a lot harder for a blockbuster like The Dark Knight Rises to break into the major categories. 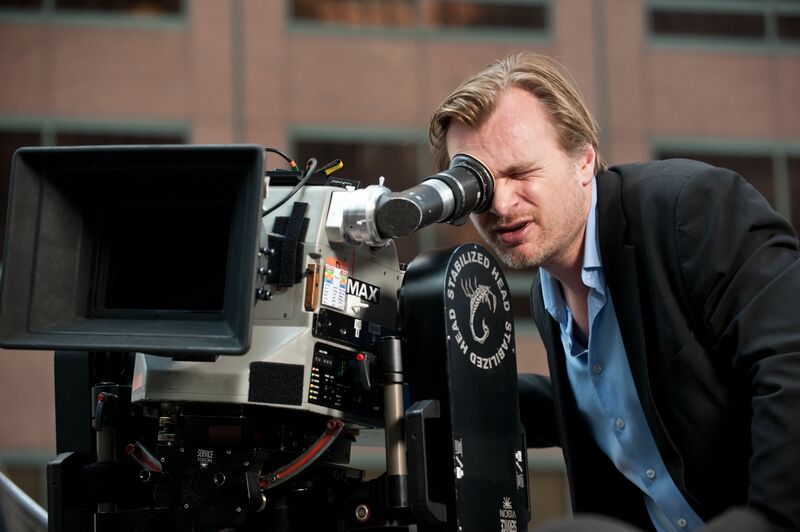 Nevertheless, Wally Pfister has a fair chance at being nominated for Best Cinematography, and I expect the film will pick up a good number of nominations in the other technical categories. 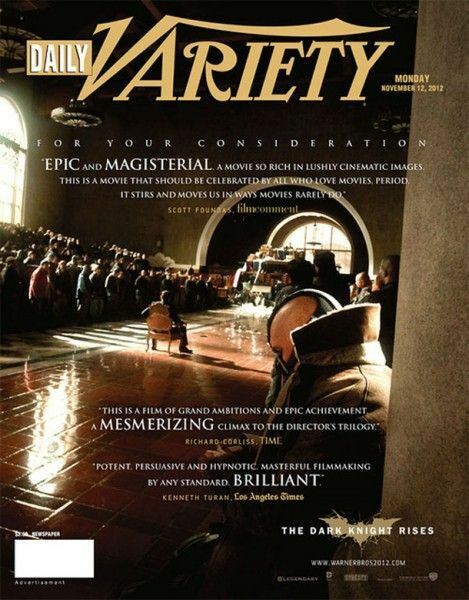 Take a look at the full slate of categories in which Warner Bros. is offering The Dark Knight Rises up for consideration below. The nominations for the 85th Academy Awards will be announced on January 10th. Via the film’s awards site.